You can earn 225 yards with this purchase! 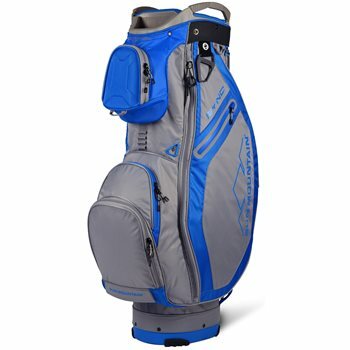 The Sync Bag is designed specifically for push cart use. All of the pockets are forward-facing so they are accessible when the bag is on a cart. Also has a cart strap pass-through so the bag can be strapped to the cart without hindering pocket usage.